Taipei, March 5 (CNA) The Ministry of Foreign Affairs (MOFA) is now recruiting people for its youth ambassador program to help build closer ties with countries in the Pacific, Southeast Asia, and South Asia, it said Tuesday. Scott Lai (賴銘琪), head of the ministry's Department of NGO International Affairs, said this year's program will recruit 75 Republic of China (Taiwan) nationals aged 18 to 35 who are currently graduate or undergraduate students for 10-day trips to targeted countries. Divided into three groups, each with 25 people, the delegates will embark on trips to either the Solomon Islands and Kiribati, the Philippines and Malaysia, or Thailand and India, Lai said. The ministry is recruiting youth ambassadors who speak Malay for the first time this year because Malaysia is one of the designated countries being visited. 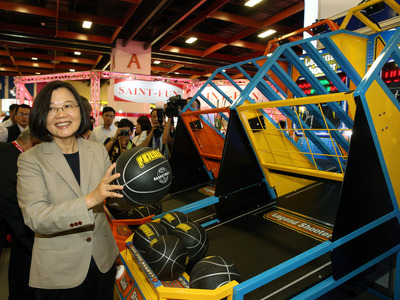 The ministry is also hoping young Taiwanese with skills in the health care, engineering and agriculture fields will sign up, Lai said. He said the MOFA will arrange for recruits to visit local NGOs and institutions in related areas in the targeted countries to make sure their expertise is put to good use. Launched by the MOFA in 2009, the initiative seeks to broaden local youths' world view and boost international awareness of Taiwanese culture and society.